What is the GAIN switch on the back of this unit for? BEST ANSWER: It changes how much power it puts out to the head phone. You would switch it down to low gain if you are using an efficient head phone with low impedance like an ear bud and switch it up to high gain if you are using a head phone that is harder to drive. The general rule is if you have to turn the knob up over half way to get it loud enough then it is time to turn the gain switch up. For headphones or especially earbuds that are very sensitive, it may be necessary to set the gain to the low setting so the volume isn't too loud even at a low volume setting. It's to boost output should you need it, especially for higher impedance headphones, e.g. 600 ohm. The gain switch is just a switch that increase the gain of the amplifier. Gain is the sensitivity of the amplifier to the signals from the input. Got it. Thanks for the replies. will this work with a Monolith M560 headphone? Yes. I use it with my M1060 headphones. I imagine it would. It has a standard banana jack and a switch to select high or low impedance phones. The two devices are perfectly matched. And the DAC is excellent despite the price. Thank you for your reply. I have been doing reviews for the last couple days. 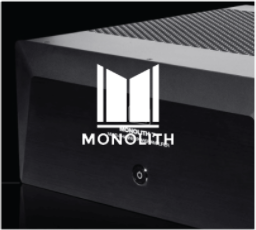 Today's latest technology in motherboards have built in DAC's but these DAC's do not offer the fidelity quality of sound that is required for the monolith Headset. I thought since I have this wonderful headphones could Monolith make a great dac/amp? You do .. kinda its on backorder. Will the USB power the amp? Or does it require the AC adapter? BEST ANSWER: No the USB will not power this amp. 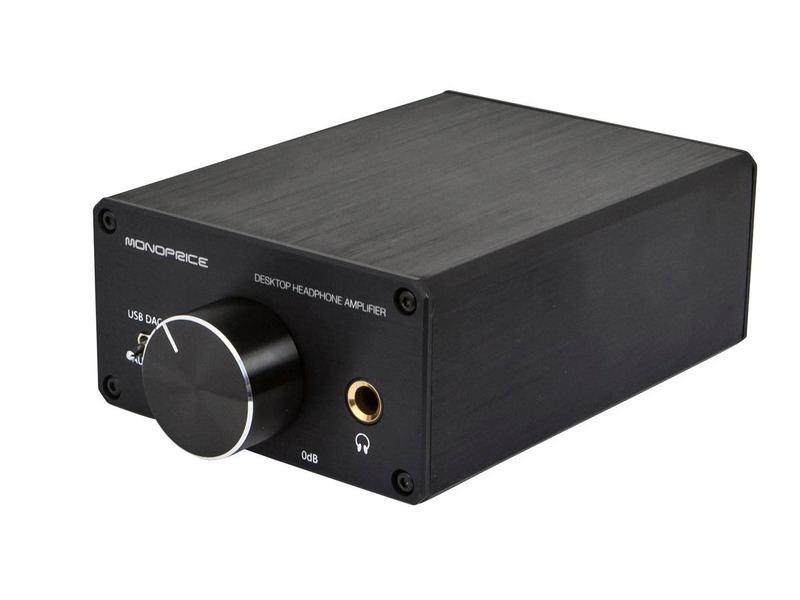 Monoprice does have a headphone amp that is USB powered. Yes, the AC adapter is required for power -- the USB is just receiving the signal. No, the amp comes with an ac adapter. The usb port does not provide power either. No, it will not. Requires the AC adapter to power on. Could I stack this on top of a Mac mini? Or would it get too hot? My current desk space is limited. Also... could I still adjust volume via my keyboard? Or by plugging into my Mini via USB would force me to use the volume knob only? Thanks! BEST ANSWER: The other's that have answered are wrong. If you are using this with a Mac, the volume control in the OS is disabled. You will need to use the knob, I have this item, and use it all the time. I actually prefer the knob, but that is my personal preference. As for stacking it on the mini, that would not be a problem, it doesn't get that hot. I second this, on all counts. I use it with my iPhone, and with my MacBook Air, and in both cases you need to use the built in volume control on the unit, but I too prefer it this way. Way more control anyway. It would depend on how hot the computer is where you stack them. You can still use the volume control on your keyboard but that will only adjust windows volume. For more fine tuned volume control you need to adjust the knob. You could probably stack it, it does get a little warm, you can probably turn it sideways. You can use both the volume knob and the volume on the device (PC for me). When you turn it off, it reverts to the audio on the device. Yes - no issues with heat at all. If anything, the power supply (wall transformer) is the warmest thing about this setup, and it's still not bad at all. You can adjust the volume from the os. The base itself doesn't get that hot. Does the volume knob also control the RCA line-out volume, or does it only change the headphone volume? BEST ANSWER: Line out output is a fixed volume. The output is designed/intended to be fed into a pre-amplifier, AVR, integrated amp, etc for use in system with a volume control. However, I do believe that it will control the volume of the Pre-out output. Yes, it controls all outputs, but unfortunately rca line has a lower output than the headpones. So u may want to connect it to a amp or something with basic or with no need of an amp. Line out is not controlled by the volume knob. However, it is not true bypass so the unit needs to be on. "Pre out" is controlled by the knob. When using the RCA line-out the volume knob only changes the headphone volume. (1) High Gain (up): This setting is suitable for headphones with high impedance or low sensitivity. (2) Low Gain (down): This setting is suitable for low impedance or high sensitivity headphones. 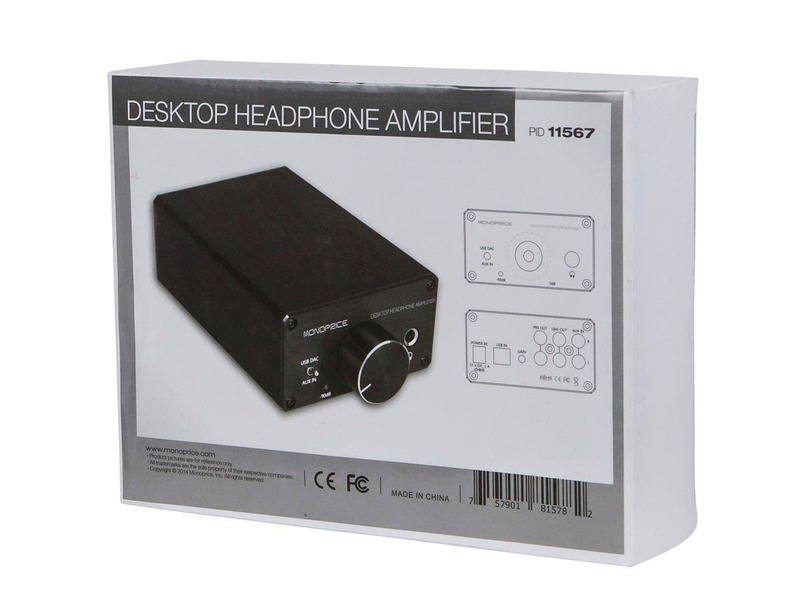 So my question is what switch (low or high gain) is the better one to use with this headphone amplifier and The Stage Right Monitor Headphones? Any problem if the switching done is a wrong one? BEST ANSWER: I would start with the low imp setting. this will give the cleanest signal. 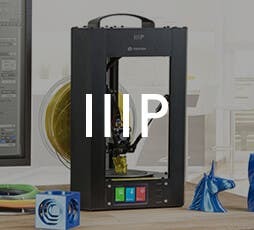 If you need more volume switch to high imp. (Disclaimer: I'm not an expert). Your headphones won't be hard to drive, so I'd start out with the low gain setting, and only move to the high setting in the unlikely event that you need more power. The only problem with the high setting is that if you dial the volume knob up too high it will be easier to blow out your headphones (or your ears) if the gain is on high. So use low gain if it works for you..
32 ohms is pretty low. I would turn the volume rotary knob on the front panel to -90 dB(fully counter-clockwise), plug in the headphones and slowly turn clockwise towards to 0 dB. If there is enough range to suite your listening pleasure, leave it on low gain. If not try high gain using the same procedure above to suite your personal level of volume requirement. At 32ohms, that's considered a pretty low impedance headphone. I would use the low gain setting. High gain, in my opinion would be about 120+ ohm. Is the DAC on this better than on a typical sound card built in to the motherboard? BEST ANSWER: Yes. But I would never recommend a Monoprice product because of the customer service I didn’t receive when my parcel arrived covered in mold, and they didn’t even bother to get back to me to this day, after I made multiple attempts at contacting them about the issue. Your better off shopping elsewhere! It will be better than the DACs found in many bargain laptops. Where this is nice is that it allows you to easily adjust volume with the rheostat knob, and you can switch to an alternate sound source with just a flip of a switch instead of unplugging your headphones. I would say the monoprice tube amp produces greater volume and clarity. I can't say it is qualitatively better than my GigaBit HD on-board sound, but it is definitely capable of higher volumes and with better base authority and headroom. BEST ANSWER: up to 600ohms capability. Works great on my 300ohm Sennheiser 545 Reference headphones. How do the rear outputs interact with the headphone output? i.e. when headphones are connected, are the rear outputs muted? BEST ANSWER: All of the rear outputs are live when the headphones are plugged in. However, the knob on the front only controls the headphone volume, NOT the rear connections. I have an external set of speakers that i turn off when I'm using headphones. And when using the speakers I either unplug the headphones, or leave the volume at zero and adjust the volume on the external speakers. Both rear outputs will function normally while headphones are plugged in. I frequently have my headphones plugged in and set low while using the line out to connect to a mini hifi stereo without issue. Just checked my unit and neither the line nor pre outs are muted when the headphone is connected. I was hoping there was a design change since release, but it sounds as if the behavior is inconsistent. Is it possible to use this as an amp only? If so, how? BEST ANSWER: Yes. 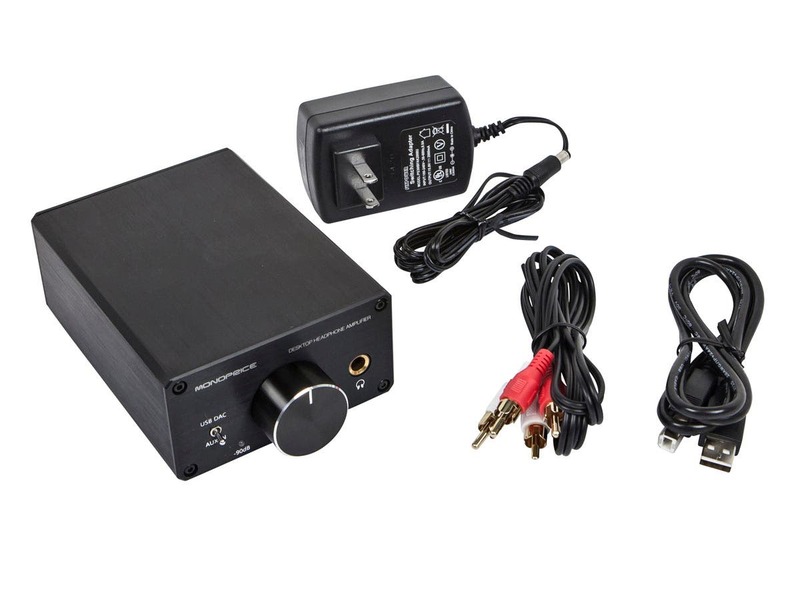 From a dac or sound signal source (ie phone, portable media player) connect to the 'aux in' on the MP 11567. Flip the front switch to point at 'aux in.' Connect headphones to the headphone jack in front. Control volume with knob. Sure, don't use it with USB and instead use it with aux. No, it is just a headphone amp. BEST ANSWER: No, this headphone amp is only designed to work with USB-A outputs for standard computers. It sounds reasonable. I used mine with headphones connecting to my PC with a USB or to my TV via audio cables. Yes, you can. It works great with my Galaxy S8! Is the DAC on this better than the sound card built into most motherboards? BEST ANSWER: I don't know about most motherboards but it certainly sounds A LOT better than the one on my Dell work laptop. It now lives on my desk because of how much better it sounds and I've ordered another amp for use at home. By far. I had a built in Creative Soundblaster on my motherboard...supposedly “high end”. Bought this guy, night and day difference in clarity and volume. Couldn't agree more. Like night and day - both clarity and differentiation. Does your unit have noise when knob goes past 11 o'clock? BEST ANSWER: I'm just a customer, and I've been using this dac for about 2 years now. To answer your question, I never hear noise at any dial setting. It's a really nice piece of hardware, and sounds crisp, and clear when gaming. I play FPS games online and require hearing footsteps and gunfire of approaching enemies, and I'm always the first in the group to call out a distant sound. I think it's partly because of this digital amp. With any rheostat some oxidation will occur over time or something may build up on the surface. Take your headphone jack out and quickly turn the knob from min to max several times. This has always cleared it up for me in the past. Interesting. Just tried this, repeatedly for about 5 minutes. The noise is still there, is it considered noise floor? No, that is not normal. I have zero noise even at max level if there is nothing playing. Are you using it as a DAC or using the RCA inputs? It could be a short somewhere that is causing the noise and it just becomes noticeable at higher levels. No. I don't have that issue. I don't think it's suppose to be that way. Maybe some sort of connection is loose, or yours is defective and should be replaced. Would this be powerful enough to drive your 1060c headphones? BEST ANSWER: The 1060C are 18 Ohm cans. It drives my 38 Ohm headset with clarity and ease. Notwithstanding, I primarily use it for its DAC direct out into a Class A amplifier and it sounds awesome. You're not going to do better for $70. I'm using this from a Mac Mini and when playing iTunes it works perfectly. When I try to run Audirvana or Bitperfect hi-res audio apps, however, I get nothing but noise, even when the app is just on without playing music. I've tried every adjustment I can think of in those apps and still nothing. Any ideas? Forgot to mention... the play, and skip buttons on the Mac keyboard don't seem to work when using BitPerfect. 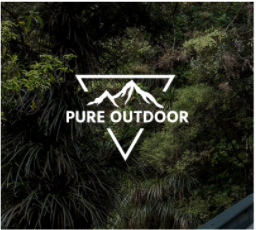 if you run without BitPerfect, they do. 1. Can you mix the AUX input with the audio out of the PC so you can hear them together in the headphones? BEST ANSWER: You will hear audio out of your speakers and headphones at the same time if both the AUX and headphones are plugged in. No. Input is selected via a toggle switch: its either USB DAC or AUX IN. Does this device have a Matrix Decoder? BEST ANSWER: No. A Matrix decoder commonly takes a stereo output and splits it into more channels. Since this is a Stereo headphone amplifier, it only outputs a stereo signal. It has a DAC digital to analog converter, sounds like I'm listening to vinyl again, love it. Can someone measure the dac/amp module itself and post its dimensions? BEST ANSWER: The physical dimension are 130mmx96mmx50mm LXWXH. Does this work with Ubuntu Linux (specifically 16.04 running on a T420 laptop)? Thanks! BEST ANSWER: Yes, it does work on Linux. It gets recognized as a digital audio device. No need to install anything to make it work. Works for mi on Arch Linux and Ubuntu. I can only set this to 24bit/48 kHz in Windows 10 settings. What are the requirements for 96 kHz to appear? BEST ANSWER: It is possible you may need an additional ASIO driver to get the full 96kHz. Can I hook this up to a MP3 player or ipod tomy vintage home stereo. ? BEST ANSWER: Yes, there is a line input on the back. Will this work with an analog turntable? I have an Audio Technica LP-120 and the HiFiMan HE-4XX headphones. I'm wondering if I could use this setup? Then run the RCA out to my receiver? BEST ANSWER: Yes, if the LP-120 has a built in phono pre-amp. Does the volume control switch the unit off or do you have to unplug the wall wart to shut it off? BEST ANSWER: Volume control turns the unit on and off. my right headphone speaker is louder than my left when using this dac, is there a way to fix this? BEST ANSWER: If you have check all of you cable to make sure inputs and outputs are connected properly then it sounds like you have a defective item. 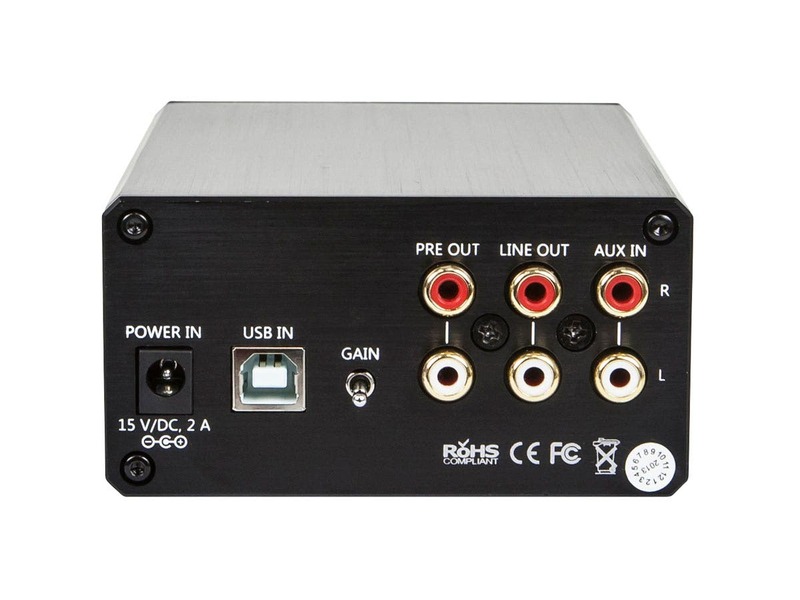 Can I use this as pre amp for Sennheiser gsx 1000 without dac functionality? Does this amp support ASIO? I'm thinking of buying it to use with my mixing headphones but I'm worried about latency and driver compatibility with my DAW. BEST ANSWER: Yes, this amp will work with ASIO. Is the DAC USB input asynchronous? Will this work with the iPhone camera adapor like many other usb DAC’s? All the features I needed. Sounds great. needed to replace an old fiio that died. synced up to my mac easily and enough power for my sennheiser 424's. Great Amp, great price, should have left off the Bright LED light though, highly recommended. 5 Stars love the Amp, HATE THE BRIGHT BLUE LED ON LIGHT, WHY?My Grados have never sounded better. 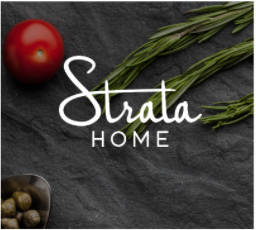 Great Amp, great price. Buy one and put a black piece of tape over the light. 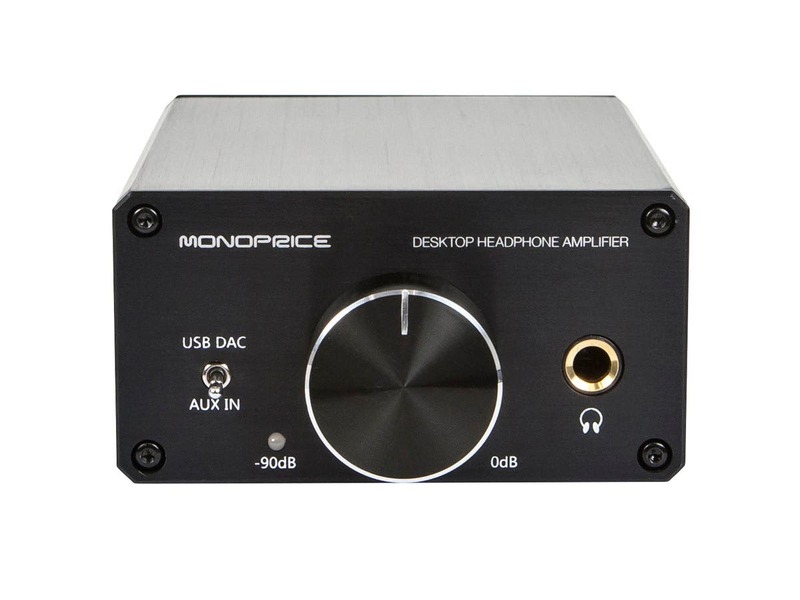 The Monoprice dac/amp looks and feels good. The volume knob is solid. It seems to have tons of power even for my 300 ohm headphones. I confess, I'm no audio expert, but it sounds good to me. Bought this for my PC originally, but found out that the Nintendo Switch outputs USB audio and is compatible with this product's USB DAC mode! You just need to hook it up to a USB port in the Switch's dock, or use a USB to USB Type C patch if playing in handheld mode. It's excellent, better than I expected. Much better stage than my Soundblaster e5. Quality construction minus volume rub knob rub that's easily fixable. I love it. Great highs, mids and brings out the lows in my adh-5000. My 1972 Sennheiser HD424's have not sounded so good for years! In the higher gain mode to overcome the 600 ohm output impedance we can finally get the drivers the power to headphones so the HD424's perform like they did with the old amplifiers. Switching between the computer sound card external speakers and the DAC works well on the Windows 10 task bar with a couple mouse clicks except in iTunes, which does not switch live and must be switched without the application open and then open the application. Very happy so far with this dac/amp. I needed it for my Beyerdynamic 990 DT-pro 260ohm headphones and they work great. I would have liked if the usb connector was a little longer so it didn't have to be so close to my computer, and also the blue LED is a little too intense. If it had a longer USB and not as bright LED this thing would be perfect. Works really great so far as far as the product goes. Happy with my purchase.